One Owner! FWD 3.6L V6 Uconnect 730N Third Row Rear Entertainment Roof Rack Remote Start Window Shades 2nd and 3rd Row Rear Park Assist Rear Park View Camera Certified Warranty Come to the experts! All the right ingredients! 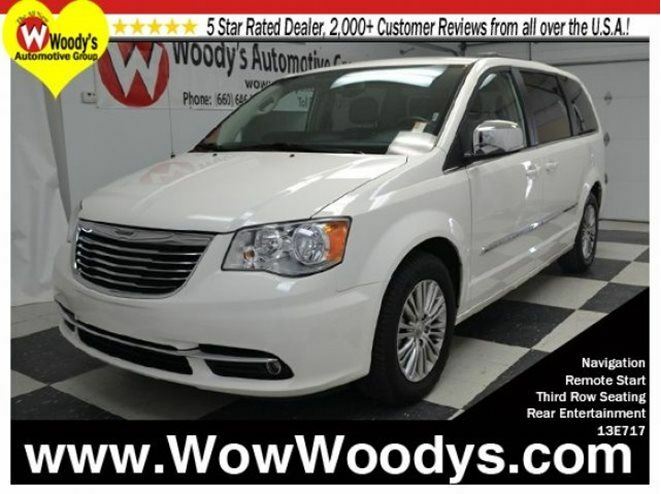 Woody’s Automotive Group is proud to offer this handsome 2013 Chrysler Town & Country. This van will take you where you need to go every time…all you have to do is steer!